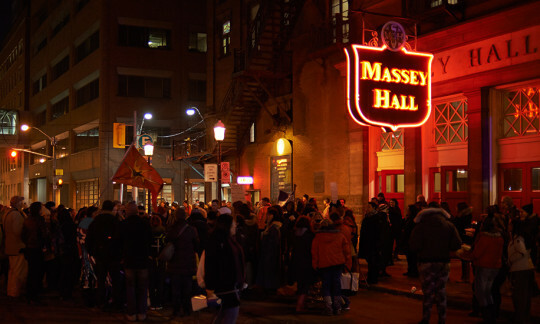 “Fix everything, change nothing.” For architect Marianne McKenna and those working on bringing Massey Hall into the 21st century, this sentiment reflects the balance of improving the facility and respecting its heritage elements and the memories accompanying them. The end result, she hopes, is a multipurpose facility whose feel is authentic rather than artifice. While elements such as the plaster ceiling and Moorish-style arches will be restored, the character and patina the hall developed over the past 125 years will remain intact. “We should be wary not to clean it up too much,” McKenna notes. Preserving the past with an eye to the future. 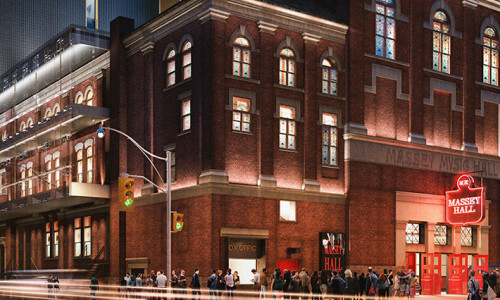 A recipient of the Order of Canada and a founding partner of KPMB, McKenna’s work in Toronto’s performance sector includes two venues at the Royal Conservatory of Music, Ettore Mazzoleni Hall and Koerner Hall. She found many comparable qualities between Koerner and Massey, from seat spacing to the reciprocal enjoyment of audience and performers. 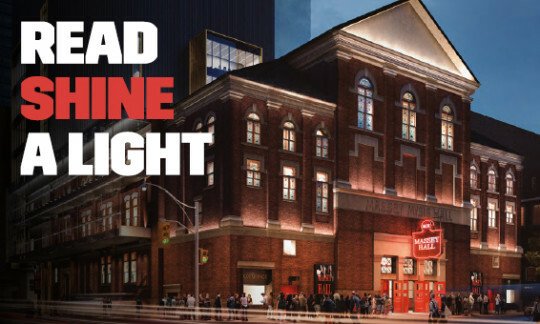 McKenna discovered that “many things we were able to achieve at Koerner Hall actually already exist at Massey Hall.” Though Massey has earned a reputation as a great performance space, McKenna has worked along with world-class acousticians and sound engineering consultants, to find areas to improve upon the acoustical experience for those on stage while maintaining the exceptional aural experience that patrons have come to expect in the auditorium.